We don't know why the Alexanders left Victoria, but the lush Hunter Valley of New South Wales awaited them. In 1898 Benjamin Richards, founder of the Riverstone Meatworks and owner of Mount Leonard, Milbrodale and part of Charlton and Wambo estates, had died leaving more than 8,500 acres to be disposed. In November 1904 two new executors of Richards's Will were appointed and the same day they transferred the whole of the Mount Leonard and Milbrodale land-the entire estate-to David, William, Robert and Charles Boyd Alexander, freeholders of Victoria, as tenants in common. 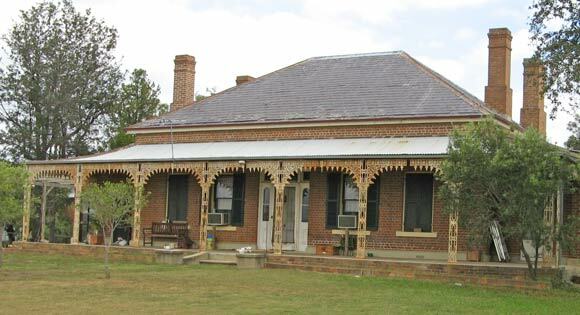 The Alexanders made their home at the gracious Mount Leonard homestead, completed in 1881. It was here that Mary Alexander, mother of the tribe, died in September 1906 aged 82, only two years after they arrived in the district. The family constructed a magnificent edifice of South Australian granite in the Bulga Anglican cemetery. With the mother's grave as the centre-piece, three graves were marked out on each side to await her six unmarried children. No provision was made for Margaret and John. 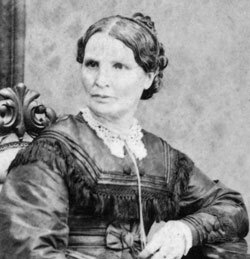 Above right: Mary Boyd Alexander who died soon after the move to Bulga. After burying their mother, the Alexander brothers sold their foundry and blacksmithing business in Nhill. From now on they were officially designated as 'graziers'. The brothers became beef producers in their own right, running mainly Hereford cattle. Robert and Charles would travel by train as far as Queensland to buy cattle, taking bicycles with them to ride to sales and grazing stations. Drovers would then bring the cattle back to the Hunter Valley. More importantly, they began to purchase additional land in the district and to subdivide their holdings. In 1910 they sold 5,715 acres of the Milbrodale and Charlton estates, subdivided into 18 farms ranging from 150 to 680 acres. Land purchase and subdivision became a theme for the far-sighted family in following years. The family kept fairly much to themselves, and were rarely seen in public. People thought them mean when they took their own lunch to Singleton saleyards. In August 1926 William Alexander died. By this time Charles, the youngest, was 62, but the four Alexanders still had sufficient energy and wealth to consider further investment and elevation of their situation and status. This came in the form of the Tocal Estate. Above: Mt Leonard Homestead, home of the Alexanders.